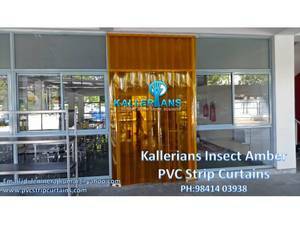 PVC Strip Curtains save energy and reduces heat or cold air loss. Protects from dust, fumes, noise, pests, spray, dirt, smoke, fumes and keeps the atmosphere hygiene. It is best solution for places where unlimited access by vehicles and Pedestrians. It is also fully transparent that help provide maximum visibility. Clear, Pale Green, Pale Blue, Yellow, Dark Bronze, Dark Green, Ultra Violet Red and so on.